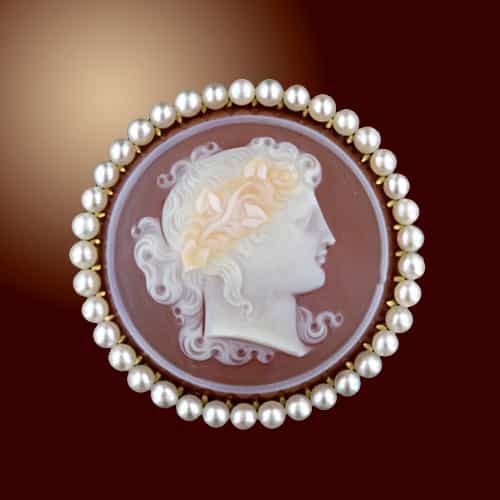 Finely Carved Hardstone (Sardonyx) Cameo Brooch. Hardstone is a term used loosely to refer to any hard gem material used for carving. Hardstone is usually presented as cameos and intaglios but is also found as intricately fitted mosaic pieces. Commonly, hardstone refers to varieties of chalcedony such as onyx, sardonyx, agate, carnelian, jasper, etc.